In many cases, you will want removable wallpaper that you can put up yourself and then take down easily when you want to replace it. Sometimes it’s for an event or special occasion, sometimes you just know the boss is going to change his mind once it’s up. Either way, our repositionable fabric or wallboard vinyl will do the trick. Wallboard vinyl is essentially bumper sticker material with “sticky note” adhesive on it. You peel off the back and slap it up. When the time comes, you peel it off the wall. It can be reapplied as long as you keep the adhesive clean. Repositionable Fabric is a thin polyester fabric with the same adhesive. It has more drape to it, and is more forgiving around odd wall geometry. It has the texture of a light fabric, and even under bright lights will not give you glare trouble. Both materials are easy to apply yourself, especially since you can pull them up and put them back down if you don’t get them straight the first time. They don’t require special tools to install, just a utility knife and a straight edge. A stepladder is usually helpful too. Still, if you are at all handy, you can put this stuff up in a short time with the help of a co-worker. 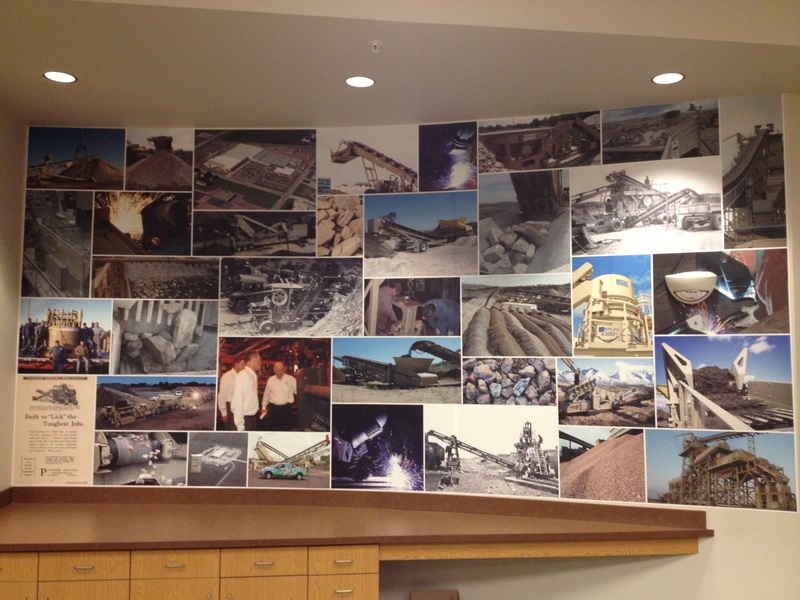 This entry was posted in Custom Printed Wallpaper and tagged removable wallpaper, temporary signage, temporary wallpaper. Bookmark the permalink.